The 2010 edition of the Michigan/Penn State rivalry will air on October 30th, live from Beaver Stadium in State College, PA at 8PM on the ABC/ESPN family of networks. 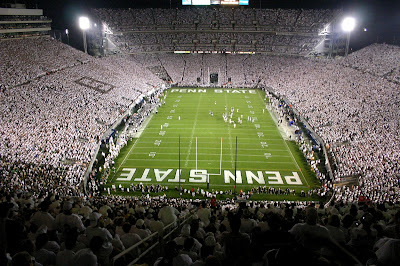 This will be the second time that Michigan has played in State College at night. The only previous appearance was a 17-10 victory by the Wolverines over the Nittany Lions on Oct. 14, 2006. Michigan has compiled a 22-11 record in its 33 primetime appearances (game started after 5 p.m. local time). 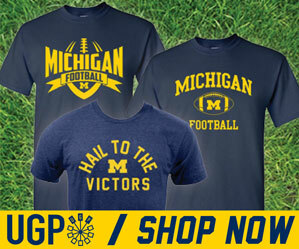 The Wolverines are 19-5 all-time at the opponent’s venue and are 3-6 in bowl games. U-M has won 11 of its past 14 evening games, with all three setbacks coming by four points or less. Michigan leads the all-time series with Penn State, 10-5, but has lost the past two games after winning nine straight match-ups from 1997 through 2007.